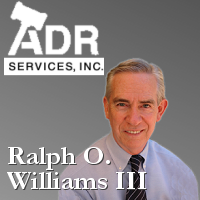 Ralph Williams helps people, businesses and organizations end disputes and avoid the high cost and long delays of litigation by using effective mediation. 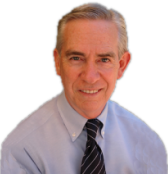 Ralph Williams has completed more than 3,500 mediations and/or arbitrations. He specializes in disputes involving business litigation, employment, insurance policies and coverage, bad faith, attorney, accountant, real-estate broker and insurance agent malpractice and real estate. He volunteers his dispute resolution skills to the Los Angeles County Superior Court and the Los Angeles County Bar Attorney’s Fee Dispute Panel. More information about Ralph Williams.